These batteries does come with NFC (Near Field Communication) feature. * NFC Capabilities * The best spare battery for your phone. * Our battery is sent out with little or no power, so please charge it for about 4 - 6 hours before using. * Flexible and washable if need . * Color:as shown in pictures. 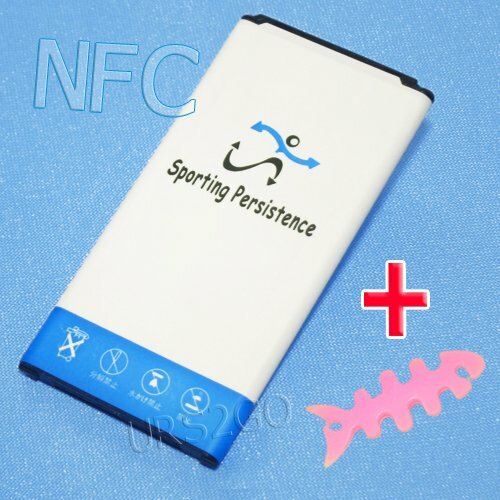 * Package includes : 4450mAh Rechargeable Li_ion NFC Battery X 1 ; Cellphone Stylus X 1 . * Compatible with: Samsung Galaxy S5 Sport SM-G860P ( Sprint ). * Accessory only, cellphone not included.